The 3-S panel is the traditional formwork panel and comes mainly from bridge construction. 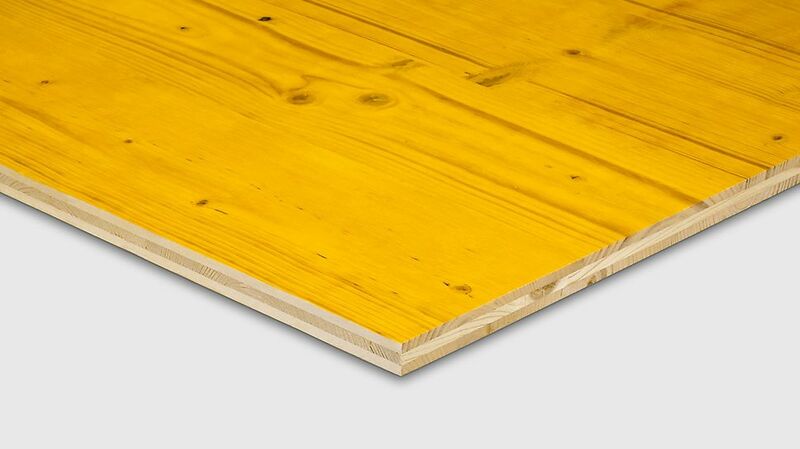 The inherently stable panel has a melamine resin coating and is wbp-bonded (water boiled proofed). Dimensions of up to 5 m x 2 m and special thicknesses can be supplied upon request. It is used both for walls and slabs, the concrete finish shows a timber structure. 3-S panels with a width of 0.5 m are available either in yellow without edge protection profile or in red-brown with front-end aluminum edge protection profile.